Volvo Service Provides Simplicity and Convenience, Right Here in Bluffton, SC! We here at Volvo Cars Hilton Head are glad that you are enjoying your new or pre-owned Volvo, and we thank you for choosing out Bluffton, SC Volvo dealership for your next stylish new ride! No matter how long you have owned your new or pre-owned Volvo car, even if you are still in the research phase, routine maintenance should always be on you mind in order to keep your Volvo in tip-top working order and prepare it for major changes in the seasons. Fortunately for you, our Hilton Head Volvo dealership provides more than premium luxury vehicles, we also stand firmly by our guests to get their Volvo cars the maintenance and service that they deserve in order to ensure continued long-lasting dependability. It is all through Service by Volvo, which provides an enriching experience for Volvo owners through comprehensive warranty protection, routine scheduled maintenance, maintenance plans, and all of the other services your Volvo needs under one roof. It is all right here at Volvo Cars Hilton Head, so let us show you everything that Service by Volvo can do for you and your luxury car. Our dealership and service center are conveniently located at 12 Gateway Village Road ion Bluffton, SC. Always Good to Have a Plan! Part of the reason why folks like you trust in the Volvo brand is due to the convenience and simplicity we offer by giving you access to high-quality scheduled maintenance on-time with lots of ways for you to save along the way. That simplicity starts with our comprehensive warranty coverage and protection plans, which we offer here at our Hilton head, SC Volvo service center. Our protection plans cover a wide range of important features on your new or used Volvo, from the tires and wheels to the overall appearance and powertrain of the vehicle. Our service center protection plans allow you to choose between membership options, with a variety of premiums, to see which is right for you and your needs. If you are someone who frequently commutes in and around the Hilton Head area, and does so throughout the entire year, a more comprehensive plan might be right for you. With our Volvo warranties and protection plans, you will enjoy confidence and peace of mind when you bring your new or used Volvo in for repairs and maintenance, with minimal to no out-of-pocket costs to you later down the road! Quality Maintenance for Your Volvo! All you have to do is schedule a Service by Volvo appointment right from your home computer or tablet device, choose the date/time that works for you, and confirm it when you receive contact from one of our service technicians. 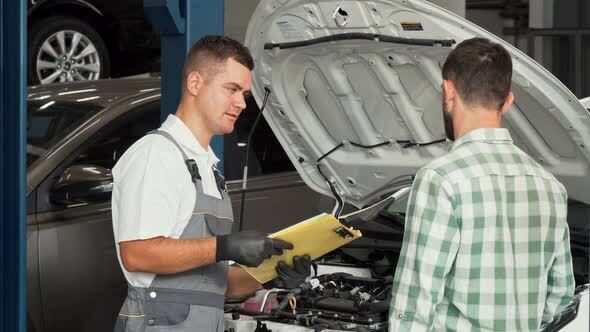 With our scheduled maintenance, we also offer complimentary diagnostics to address and resolve any issues which might arise, in addition to providing any software updates needed on your vehicle's software systems free of charge. 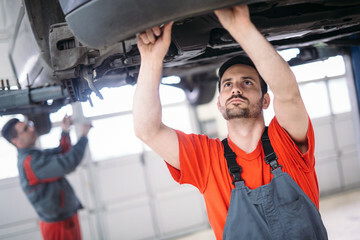 If your vehicle requires more intricate repairs and more time with us, our service center technicians will provide you with alternative transportation to ensure that your busy schedule remains uninterrupted, and that your vehicle is returned to you in tip-tip condition with a complimentary car wash as well! Schedule an Appointment and Let's Get Started! The Volvo brand stands for more than just high-quality, premium luxury cars; a Volvo is all about the experience. Service by Volvo, here in Bluffton, SC, is just one of the many ways that our dealership aims to bring the comprehensive Volvo ownership experience tour deserving guests, in order to enable you to enjoy your new or used Volvo worry-free! Get started today and schedule a service appointment here online or through calling our service center at Volvo Cars Hilton Head in Bluffton, SC. We hope to hear from you soon! Let Our Expert Team Help with Your Service Needs!